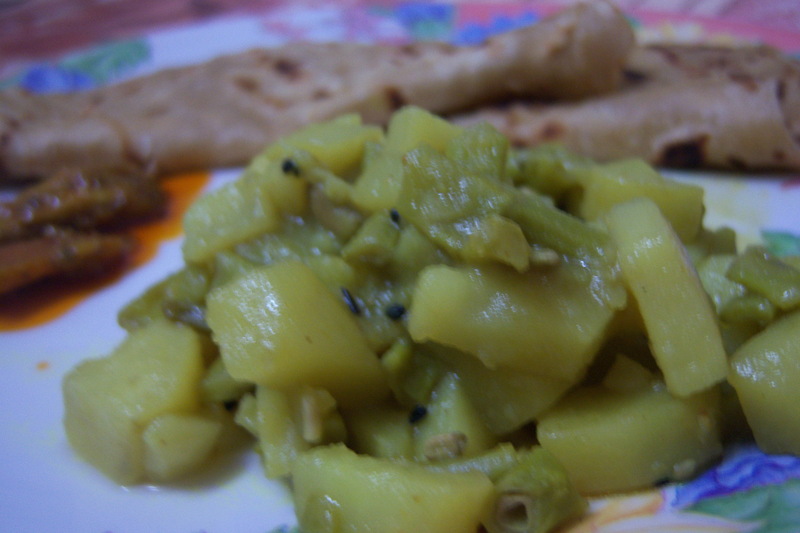 This entry was posted on November 19, 2008 at 9:45 pm	and is filed under Niramis(Vegetarian), potato, Side dish. Tagged: bangla ranna, bengali curry, bengali ranna, curry, dinner side dish, easy to cook, potato, string beans. You can follow any responses to this entry through the RSS 2.0 feed. You can leave a response, or trackback from your own site. Lovely recipe. Collect your award from my blog. hey sudeshana , thanks for visiting my blog, ya that cake we can do it in oven too !! This is very nice recipe wil try it soon . I ll add your blog to my favourite blog list hope you dont mind !! Thanks for commenting. I have shared this recipe, hope your readers like it. tnx for the receipe, i was searching the net for this one. my wife is at my in-laws place, so i am now going to try this and will keep u posted after i prepare and taste.